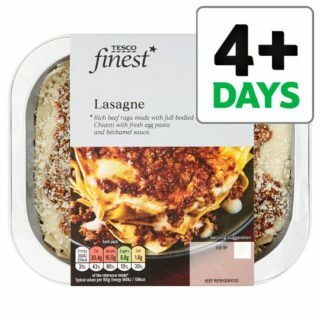 The USA celebrated national lasagne day at the weekend, or lasagna, as they spell it; and it got me thinking about how popular lasagne is over here in the UK. When we walk into our local supermarkets you’re guaranteed to see fridges full of ready-made-meals, and if you either love them or hate them, there’s always a wide selection of Italian dishes, lasagne usually dominating the selection! 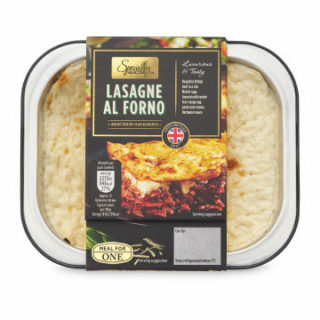 So, we took them to the test in search of finding 6 of the most popular lasagne dishes and rating them, taking into account best value for money and quality of taste, and here they are, by some of our most loved supermarkets. Morrison’s range of Family bakes supplies a meal for all the members of your family! Serving 4, this hearty Italian meal is popular among the weekly shop. 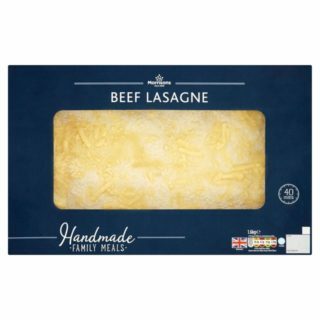 It contains British beef with layers of pasta sheets. 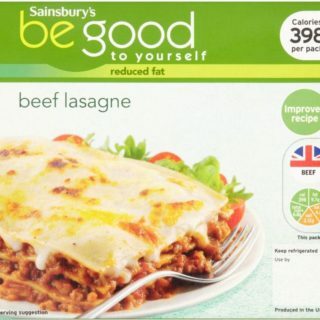 The Sainsbury’s Be Good To Yourself range features may ready-made meals and product ingredients that specialise in being low in calories, fats, sugars and salts, and are therefore good for any balanced diet. This lasagne consists of a fresh egg pasta layered with a minced British beef and tomato ragú, topped with béchamel sauce and cheese and parsley crumb – 30% less fat than Sainsbury’s Italian beef lasagne! Tesco’s Finest collection offers many products in their supermarkets made with the highest quality ingredients, with maximum taste, at the lowest prices. This dish is made up of egg pasta with beef in a tomato and Chianti red wine sauce topped with white sauce and Grana Padano medium fat hard cheese. The chefs use Chianti in our beef ragu for a deep richness. 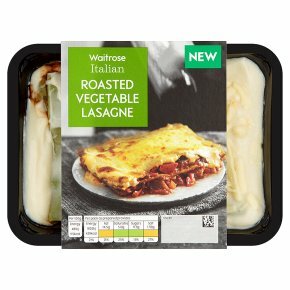 Waitrose has a selection of tasty ready meals with plenty of vegetarian options too! These free-range egg spinach pasta sheets are layered with vegetables, tomato sauce topped with béchamel sauce and mature Cheddar cheese, perfect for any quick Italian feast. M&S have served quality food since 1884, concentrating on value for money and customer authenticity. Marks & Spencers serves many ready meals, and one of their most popular is their Rich beef Bolognese sauce layered between sheets of gluten-free pasta, topped with creamy béchamel sauce and cheese. With two individual servings. Aldi is an award-winning supermarket, working it’s way up the ranks for their cheaper prices and better choices. This is one of the more popular options, a Beautiful British beef in a rich Merlot ragu, layered with tender free-range egg pasta and creamy Bechamel sauce.